We are going to be talking about Genesis Framework themes all during December on the WP-Tonic podcast. We start the month with a show aimed at the beginner to the Genesis Framework. What it is, and what it isn’t! Then with our special guest Carrie Dils “howdy, howdy” of the Office Hours podcast we will look more deeply into how to develop professionally using the Genesis Framework. Then we will look at the Dynamik plugin from CobaltApps. This particular plugin is very popular in the WordPress community. Then we are going to look in general at all the other plugins and resources that are available to help you in your Genesis Framework journey. And we end the year with a general final show where we will discuss Genesis and the year in general. Genesis is a starter theme where you can build child theme on top; it is not that different to many other popular starter themes that are freely available like Underscores. But based on this starter theme a whole community has been built with also the parent company StudioPress building a whole library of child themes based on this parent theme plus all the support they offer connected to a very active forum. However, a lot of the popularity of these frameworks comes from the third party community that has developed around this theme/framework. 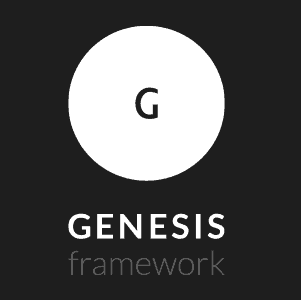 I feel a lot of the confusion that a lot of new people have connected to the Genesis Framework is linked to them thinking that Genesis is similar to these two very popular CSS frameworks Bootstrap and Foundation developed by Zurb. In some way, this is very understandable being that there are a number of starter themes based on these two very popular CSS frameworks and, in fact, there is a lot of overlap with what Genesis and these WordPress/CSS framework WordPress starter themes can do. Genesis offers a lot more; in that, it also gives you a large library of child themes that are not only well-coded but look great that you can also customize for clients that can’t afford to go down the full customization route. Also, the framework has a large external developer community that provides a lot of free training and support. However, I feel some of the negatives that are talked about are in some ways slightly over the top. Let’s look at some of the most useful plugins that can help you with your Genesis experience. I am going to write up a separate post about Dynamik Website Builder. Beaver Builder – Beaver Builder, is a premium page builder plugin that lets you create drag and drop layouts. It works extremely well with Genesis themes. I think this is an exciting tool that anybody who is planning on doing a lot of customization work with Genesis should consider buying. Genesis Design Palette Pro – This premium plugin gives you the ability to select different parts of your site and change padding, margins, colors, fonts it’s a bit like Dynamik but a lot smaller and less powerful. Styles for Genesis – This premium plugin uses the WordPress customizer to allow you to change colors, fonts, buttons, buttons and more with no coding. Genesis Optimized Social Share – Social Share is important for any website. Genesis Optimized Social Share offers social media sharing options for the Genesis theme. The social share buttons will not affect the loading speed of the website, making it one of the best choices. In short, it doesn’t affect the page speed scores. Genesis Responsive Slider – The slider has always been an important part of a theme. And, the case holds true in the case of Genesis theme. If you are looking for a slider for your theme, then Genesis Responsive Slider offers what you are looking for. Genesis Layout Extras – Genesis Layout Extras is one of the top Genesis plugins out there. The plugin is downloaded more than 98000+ times and is still going strong. 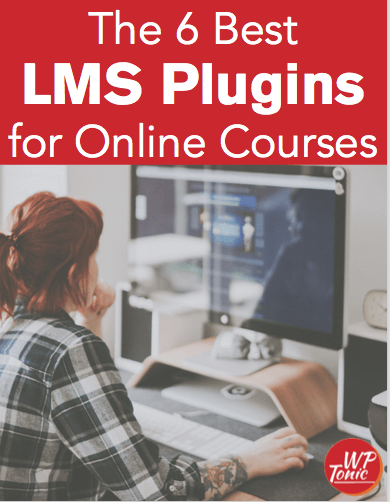 The plugins help to edit the default layout of different pages such as search, attachment, the homepage, 404 pages and more. Genesis Simple Edits – Genesis framework is great and with the use of Genesis Simple Edits you can improve your experience with the theme. The three main areas where most of the editing go are the post meta, footer area, and the post info (byline). With the help of this plugin, you can easily edit those areas, according to your requirements. Genesis Simple Hooks – Genesis Simple Hooks is one of the most useful Genesis plugins. It comes pre-loaded with more than 50 hooks. These 50 hooks can be used to tons of customization including insert coding into the theme. Genesis Simple Sidebars – Genesis Simple Sidebars can be used to add multiple widget areas into your Genesis website. The sidebars can be controlled according to the posts and what you are looking to do with it.